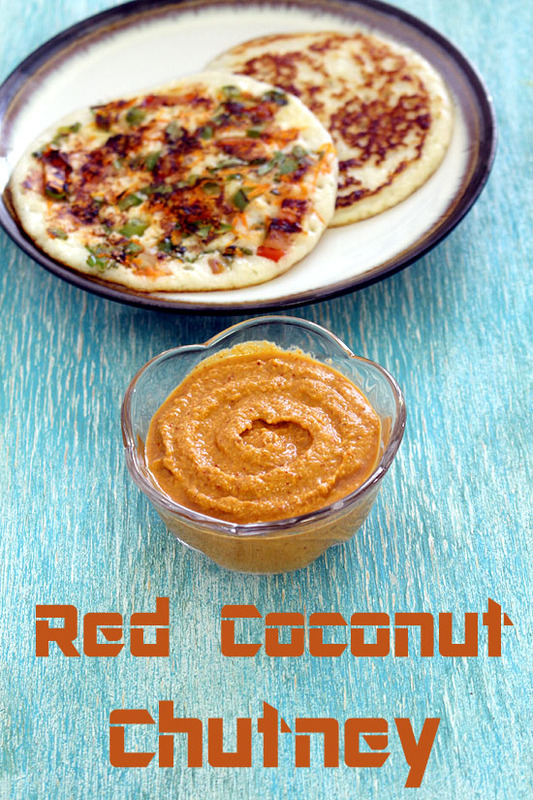 Red coconut chutney recipe – spicy, pungent flavored chutney which goes well with South Indian breakfast like idli, dosa, uttapam, vada and many more. The spicy taste obviously comes from dry red chilies, so adjust the quantity as per your liking taste. 1) Take all the ingredients into the blender. NOTE: I have used Kashmiri chilies for dark red color, also this variety is less spicy. If your chilies are spicy then use less. Traditionally byadgi chilies are used which make the chutney spicy and give subtle red tone to the chutney. 2) Blend into the smooth paste. Adjust the water quantity as per your liking chutney consistency. 3) Remove it to a serving bowl and serve. I have made this chutney from a small booklet of Kerala cuisine and in that there was no tempering made. So here I have not made any tempering. But if you want, you can do by adding mustard seeds, urad dal and curry leaves in hot oil. Both ways it tastes good. 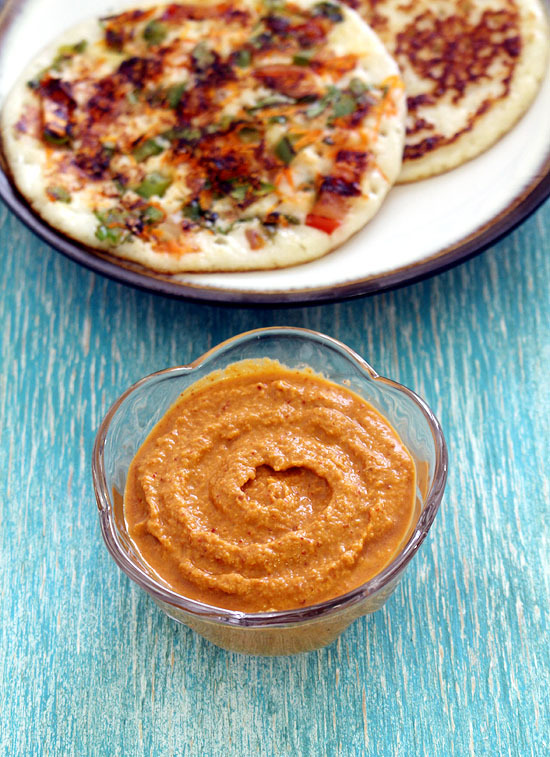 Serving suggestion: This chutney can be served on side with idli, dosa, uttapam, bonda, vada, upma, pongal and so on. Blend into the smooth paste. Adjust the water quantity as per your liking chutney consistency. Remove it to a serving bowl and serve.